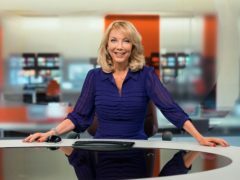 Gordon Hawthorn has admitted stalking BBC Points West presenter Alex Lovell and will be sentenced at Bristol Crown Court next year. A man has admitted sending a barrage of threatening greetings cards to a BBC regional news presenter. A man has admitted sending threatening greetings cards to a BBC regional news presenter.